The plant-based Beyond Burger is now available at all 38 Bareburger locations across the States. The burger is served with vegan American cheese, sweet pickles, red onion, green leaf lettuce and special sauce on a brioche bun. It can be veganized by ordering a multigrain bun without special sauce. According to the burger brand: "The launch highlights Beyond Meat's rapid growth among mainstream restaurants and partners outside of retail, solidifying The Beyond Burger’s prominence as the nation’s go-to plant-based burger." 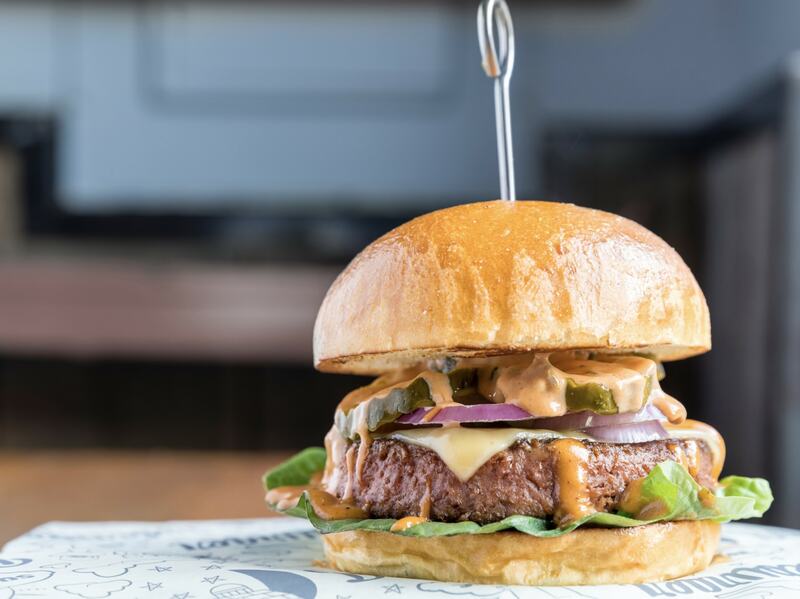 Ethan Brown, Founder and CEO of Beyond Meat, said: "Adding The Beyond Burger to Bareburger’s menu answers the rising consumer demand for healthier, plant-based menu options that deliver on taste and satisfaction. "Enabling more consumers to Eat What You Love™, our partnership couples the health and environmental benefits of plant-based foods with Bareburger’s commitment to serving sustainable and delicious food options." Bareburger CEO, Euripides Pelekanos, added: "At Bareburger we are committed to offering consumers their favorite food, while being mindful about the sustainability and origin of these products. "The Beyond Burger not only delivers on the taste, texture and look of meat, but offers the environmental and health benefits of plant-based foods." Since its launch, Beyond Meat has sold more than 11 million Beyond Burgers. Today, it is sold in the meat case at more than 5,000 grocery stores nationwide, including Kroger, Albertsons Companies, Stop & Shop, Shaw’s, Jewel Osco and Whole Foods, as well as on menu at more than 6,000 restaurants, hotels and college campus dining halls.